A boating accident can be very frightening. Accidents can cause minor injuries or lead to a vessel becoming compromised. You may find yourself adrift in open water and at risk of drowning. Injuries at sea can leave victims suffering from chronic pain for the rest of their lives or facing loss of limb, burn injuries, and more. If you have been injured in a boating accident, paying for treatment, loss of income, and other expenses may be difficult. The party liable for the accident should be held responsible for the damage caused, and a civil lawsuit can help you seek justice and obtain financial compensation for recovery. Attorney Dennis W. Potts can help you secure the compensation you need to move forward with your life. Boating accidents are very different from vehicle accidents because they may fall under two jurisdictions. Some cases will be settled in state courts, similar to an auto accident. Others fall under federal maritime jurisdiction and will require the experience of a lawyer who focuses in maritime or admiralty law. Attorney Potts can help you secure the optimal outcome for your case. Since the laws governing boating accidents can be more complex than your average civil claim, consider seeking legal advice as quickly as possible. An experienced lawyer will need time to conduct a thorough investigation, evaluate the case material, and determine the best course of action. 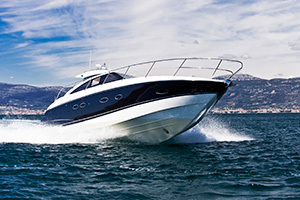 Case investigations for boating accidents may be tricky, because of the difficulty of preserving evidence on the water. Many cases rely on equipment evaluations, injury evaluations, and property damage to prove liability. While operator error may be to blame, many boating accidents are not the driver’s fault. Other parties commonly held responsible for boating accidents include tourist agencies, charter companies, equipment manufacturers, and other boating companies. Only a thorough evaluation of the evidence will reveal the true nature of the accident and who should be held accountable. This is why it’s important to choose competent legal counsel who will not only pay attention to the details, but who also is knowledgeable about where to look in the first place. Never knowingly board a vessel operated by a driver under the influence. Know how to hail the Coast Guard in case of an emergency. Invest in a waterproof cellphone case, and keep your phone with you. Always wear or keep a USCG certified life vest handy. When you choose an attorney, you need to know he or she is willing to go the extra mile. Your first priority should be recovery, and for many victims of boating accidents, that can be difficult without financial compensation. Whether you were a tourist on vacation or you are a local caught at the wrong place at the wrong time, Attorney Dennis W. Potts is ready to help you obtain the legal outcome you deserve. Attorney Potts takes all of the cases on a no recovery, no fee policy, making it easier for accident victims to reach out for the representation they deserve. If you or someone you know has been injured in a boating accident around the islands of Hawai’i, call (808) 537-4575 today for a free case evaluation. The Law Offices of Dennis W. Potts can provide you with the information you need to make informed decisions about pursuing legal action.